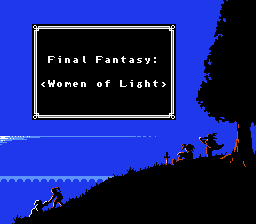 This is a ROM hack of Final Fantasy (NES), so that the Light Warriors are all female. 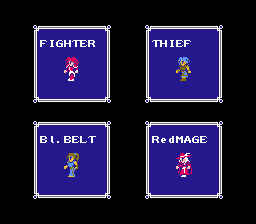 At its core, the character graphics are redrawn anew (along with some other graphics); in addition, some of the NPC dialogue is changed to reflect different perceptions of this fact in a realistically subtle way. 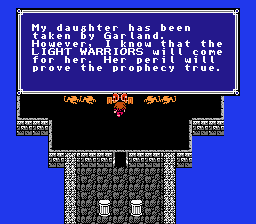 However, the actual gameplay (plotline, class abilities, enemies, etc) remains the same, intentionally. 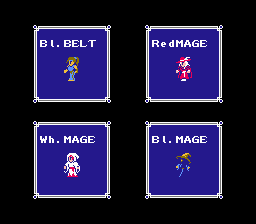 So, in effect, this is simply a genderswap of FF1, for those who’d like to play it that way. 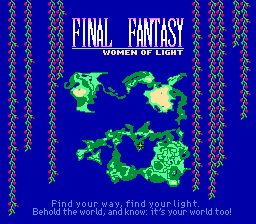 A simple premise, but which can have surprising emotional implications… on both sides of the screen.